Being “in the zone” reflects that total mental focus and clarity that comes to people concentrating hard. For athletes and professionals, it can take years of practice and hard work. For us mere mortals, BrainCo offers a way to learn how to focus. How? Professor Don gets all brainy with Max. The idea behind BrainCo is to use their Focus One headband with gamification to improve mental concentration. The BrainCo band reads small electrical impulses in the wearer’s brain and picks up on changes in the frequency and amplitude of the impulses (EEG). As everyone’s brains are different the band establishes a personal baseline and works on changes from that baseline to understand when the person is relaxed, focussed or distracted. 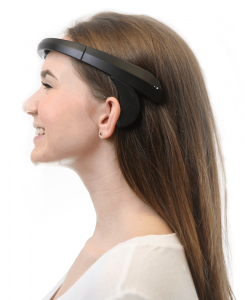 While wearing the Focus One headband, the owner plays a smartphone game which takes information from the headband and responds as the wearer mentally focusses. Simply, the person has to focus to do well in the game. Overtime, the person learns how to focus their mind. 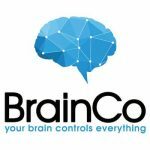 The BrainCo Focus One reinforces good mental behaviour and this can be especially useful for children who have learning difficulties such as ADHD, but it also has application in ensuring that teachers are engaging with their students. The FocusOne isn’t yet available to buy but if you are interested, you can register on the BrianCo website for an early bird discount. Stainless steel insulated water bottles are commonplace today and have largely taken over from the glass vacuum flasks – the latter are just too delicate, especially for camping and hillwalking. And while the steel bottles are good are keeping stuff warm, the liquid has to be hot in the first place….or does it? Cauldryn Fyre bottles have a built-in heating element which not only keeps liquids warm, it can actually boil water. Colten and Joe have a quick Americano. 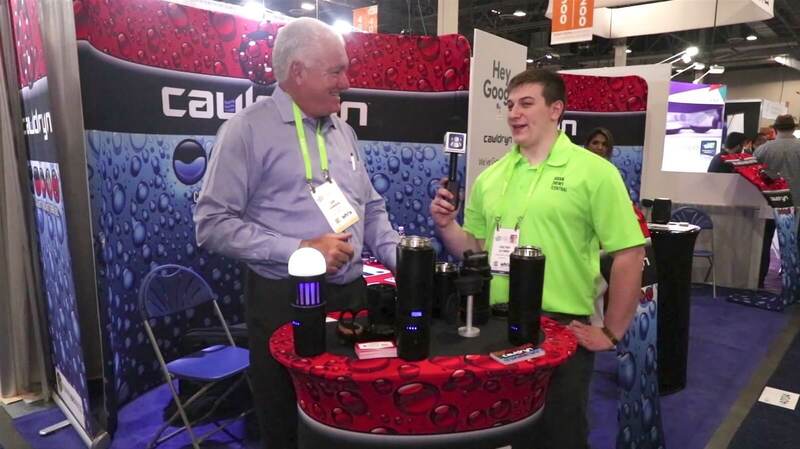 The Cauldryn Fyre water bottles feature a modular design, offering a 16-ounce, stainless steel, vacuum insulated bottle with the revolutionary Fyre heating element. The standard Cauldryn Fire is powered from AC but the Fyre Mobile features a rechargeable battery to heat the liquid and keep it hot all day. The mobile base has a couple of USB charging sockets too. There’s a DC base available for heating from 12V / 24V. The Cauldryn Fire system is modular. Want a smoothie? There’s a blender attachment. Need a light? Snap in the rechargeable battery. It’s even got integration with Ok Google. Seriously, I want one of these. The Cauldryn Fire is shipping now. 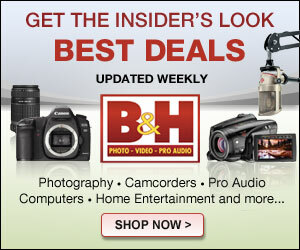 The standard Fyre is US$69.99, Fyre Mobile is $129.99 and additional battery units are $69.99. DC base $9.99. Colten Clymer is one of the team at GeekNewsCentral.com. Flir created a minor sensation few years ago with the Flir One thermal imaging attachment for smartphones costing only a few hundred bucks. 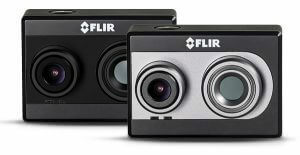 Building on this, Flir have launched the Duo, a dual sensor compact camera designed to be carried by drones. John gives Todd a quick demo of the new Duo and see if you can spot the GNC cameraman. The Flir Duo combines both visible light and thermal sensors into a single camera which can be carried by any drone that attaches GoPro cameras. The visible resolution is full HD at 1920 x 1080, whereas the thermal camera is only 160 x 120. This might seem poor but the resolution of thermal imaging tends to be much lower. Flir has a nice trick called MSX blending where the visible and thermal images are combined to give more detailed pictures. There’s a demo here. There a two versions, the Duo and Duo R, with the latter providing calibrated radiometric temperature measurements, i.e. it can tell accurately how hot an object is. The Duo is priced at US$999 and the Duo R is $1,299. Available now. Flir have partnered with drone makers Autel Robotics and paired their Duo with the X-Star Premium drone for an all-in-one package including customised flight software. Oddly the package appears to be available only to US military and no word on price. With the arrival of the Internet of Things, installing antivirus software on a PC isn’t going address malware lurking on a smart home control unit. A different approach is needed and Bitdefender’s BOX might be the solution. 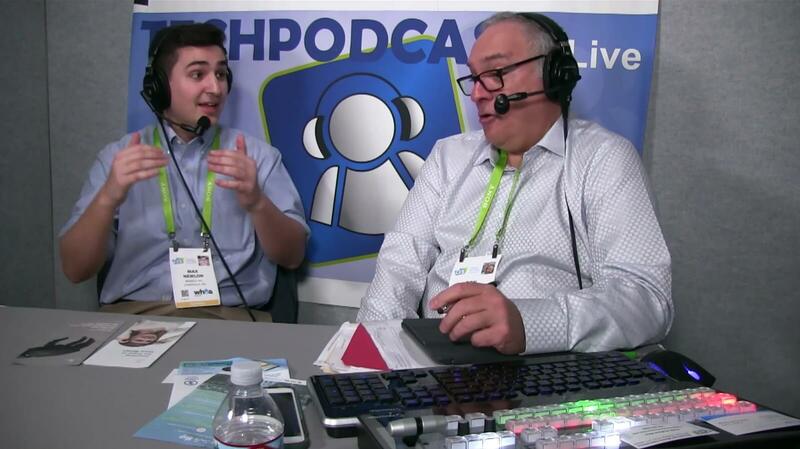 Dan talks to Todd about what Box offers over traditional security products. The Bitdefender Box is a small hardware device which is connected into a free port on the main router – it’s similar in size to the control units for SmartThings or Hue. Once configured via Bitdefender’s Central Account or the companion smartphone app, it monitors the network traffic for suspicious activity. Box provides several layers of security over and above standard antivirus with everything from URL filtering to anomaly detection. Bitdefender Box is available now for US$129 in the first year, with an annual subscription of $99. The next gen Box is expected in the summer, priced at $199. Box is currently only available in the USA. 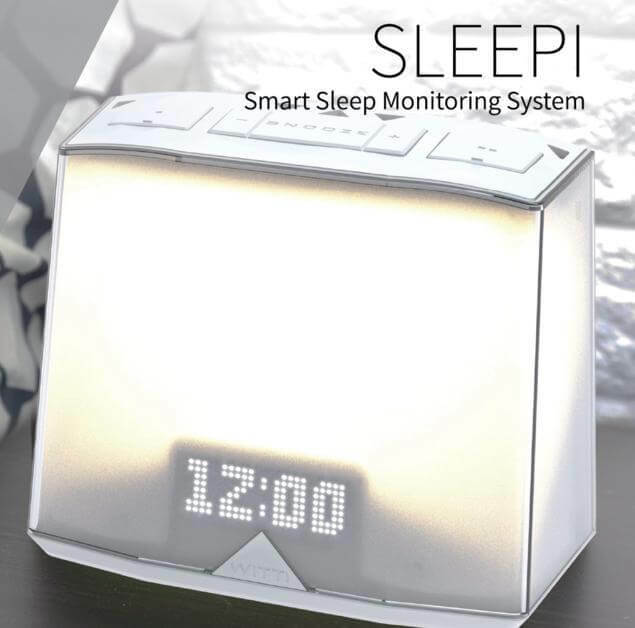 Witti are reasonably well-known for their Beddi collection of stylish bedside clocks and lights which both help the sleeper doze off and wake them gently in the morning. Expanding their product portfolio, Witti is introducing Sleepi and Todd finds out from Alfred what it can offer snoozers. Sleepi is a sleep monitoring system, comprising of a bedside light and clock, a sleep tracker that goes under the mattress and the obligatory smartphone app. The app tracks sleep and wakefulness, providing a report in the morning. What makes Sleepi different is that it works with smart homes to figure out what interrupted the sleep, e.g. the room was too hot, and then adjust the temperature automatically. That’s smart. A Kickstarter launch is planned for Sleepi, with shipping towards the end of 2017. Expected retail price around US$149. Learning is best done when fun and what’s more fun than play? Sam’s Curious Cars fall right into this sweet spot and Todd gets an interactive demo from Joachim. Sam Labs have created a series of component-based toys (think chassis, wheels, motors) that can be built up to make a vehicle – in this instance a car. The components are compatible with Lego bricks, so builders can really express themselves. Once constructed, the car can be controlled by other components, like a switch for power and a slide for left and right. The car can also be controlled by an app and for advanced learners, the cars behaviour can be built up using control blocks in the app. It’s designed to introduce some of the key concepts of programming without actually having to code. 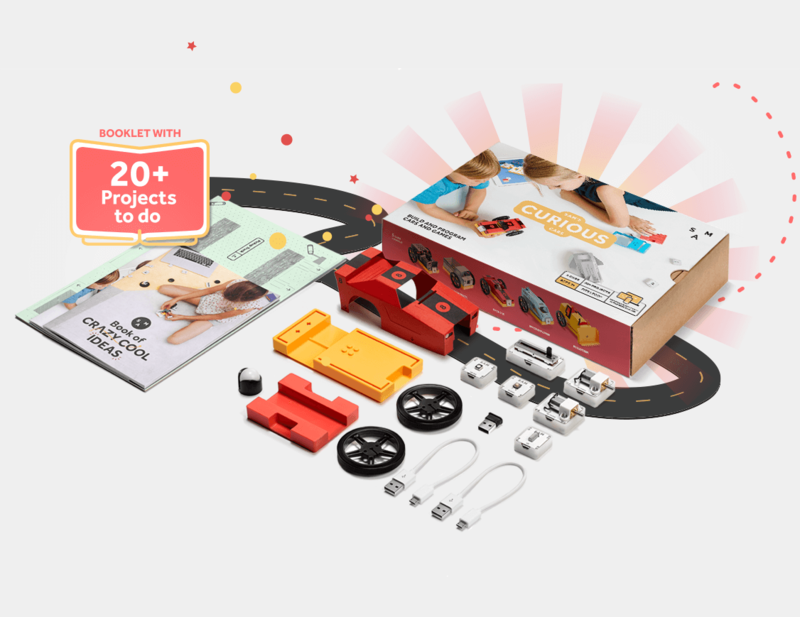 There’s a series of six different sets, priced from US$99 and the Curious Cars are $199. Additional sensors and motors can be bought separately. Available now from the Sam Labs shop and other good retailers. Fancy a beer? Me too, but I’ve never brewed my own, though his might change with the iGulu automated home brewing system. Todd looks for some refreshment in the hot halls of tech. 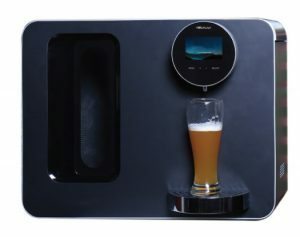 Winning a CES Innovation Honoree award, the iGulu machine brews a beer from ingredients to fresh beverage in anything from seven days to a couple of weeks, depending the receipe. Everything is done in the iGulu, from initial mixing and mashing to the fermentation and pour, with sensors ensuring that the final product is perfect. There are receipes for everything from lagers to stouts and the process can be tweaked via the iGulu app to suit personal taste. There’s a small screen to control and check on progress of the brew. I’m feeling thirsty…. The iGulu is available for pre-order via Indiegogo starting from US$550, with an expected final retail price of US$800. Step counters and activity trackers are ten-a-penny, but what if the tracker could show you how you run, not just how far you run? It’s now a reality with smart insoles from FeetMe. Todd finds out more from CTO Andrey Mostovov and sprinter Taylor Pegram. FeetMe’s athletic smart insoles, FeetMe Sport, constantly takes measurements from over thirty pressure sensors, before processing the information in their FeetMe coaching app to show exactly how your feet hit the ground. Imagine being a top athlete and being able to see your stride and steps. The app gives suggestions for improvement and weaknesses are highlighted for attention in the next training session. Unsurprisingly, the FeetMe Sport uses Bluetooth to pass the information on to a nearby smartphone or tablet, giving feedback in the field. There’s a professional version for healthcare aimed at people who have gait or foot problems, or need post-operative assessment, allowing clinicians to review the data from the insoles. 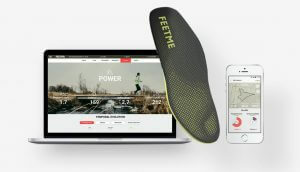 The FeetMe Sport insoles are on pre-order for US$150. Parents around the world will recognise the perennial problem of taking their child to the doctor for relatively minor ailments simply to get prescription or medication. The kid just wants to be wrapped up in bed watching TV but they’ve to be dragged down to the doctor for 2 minute exam to confirm it’s nothing to worry about. TytoCare have a brilliant solution in the shape of the TytoHome telehealth and remote examination kit. Todd finds out more from Dedi Gilad. 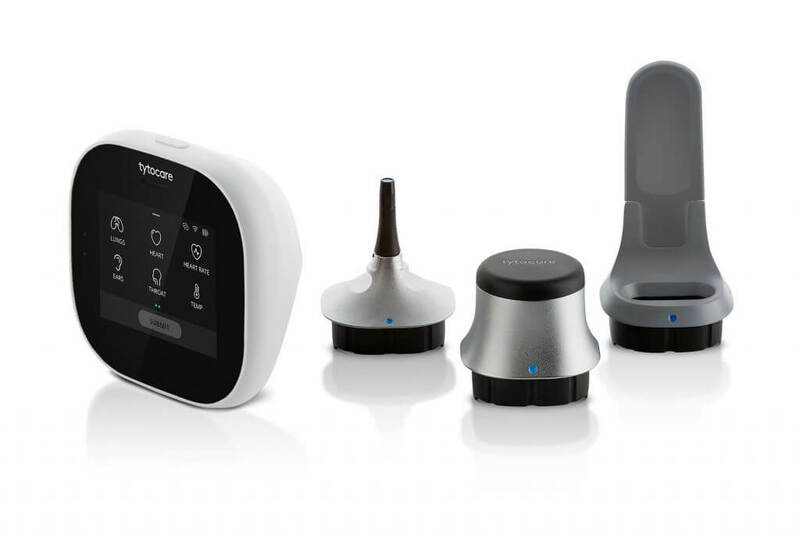 The TytoCare system is a hand-sized unit with a small screen which has icons for the body area to be checked – nose, ears, heart, lungs, temperature. The device uses a selection of interchangeable sensors which are shaped appropriately and are plugged into the rear of the unit. The TytoHome connects via Bluetooth to any smartphone and the complementary app demonstrates and guides the owner in the use of the device. The collected data is either recorded for later review or on online consultation can be started with a healthcare provider, sending data back to the clinician during the discussion. The TytoHome is expected to retail at US$299 when it comes to market. 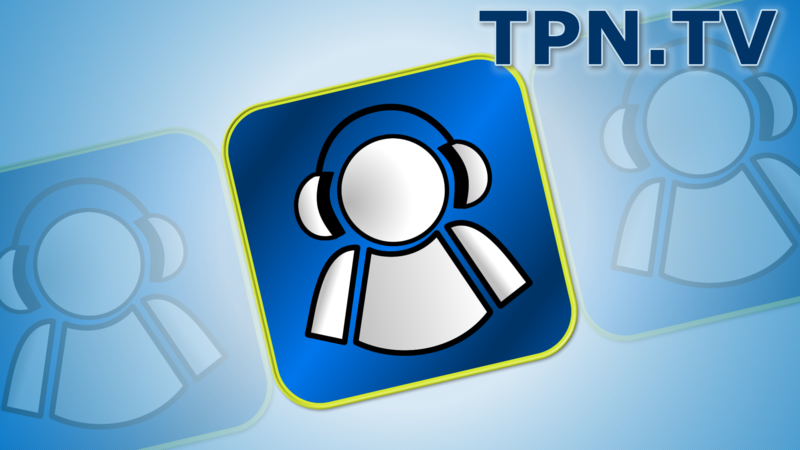 There are enhanced versions for professional use (TytoPro and TytoClinic).